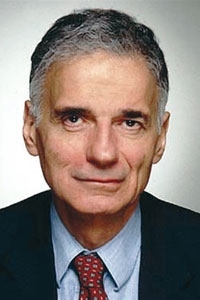 Ralph Nader says the administration has a fiduciary responsibility to take a measured approach to GM's stock sale and leverage ownership to make strides on auto safety and fuel efficiency. WASHINGTON (Reuters) -- The U.S. Treasury should make General Motors Co suspend its planned initial public offering to ensure a better return for taxpayers on the government's stake in the company, safety and consumer advocates said on Thursday. In a letter to President Barack Obama, the group led by consumer advocate Ralph Nader said the administration has a fiduciary responsibility to take a measured approach on the stock sale and leverage ownership to make strides on auto safety and fuel efficiency. "The U.S. stake in GM obviously poses novel managerial challenges to the government. The appropriate response to those challenges, however, is not to run from the responsibility through passive ownership and premature sale at a loss to taxpayers," the letter said. Prospects are slim that the Treasury will fully recover the $50 billion in taxpayer money extended to GM in bailout and bankruptcy financing last year. The government is expected to take a loss on paper of up to $4.9 billion when it seeks to shed a third of its 60.8 percent equity stake in the public share offering expected for next week. Nader and letter co-signers Joan Claybrook, former president of the Nader-founded consumer group Public Citizen; Robert Weissman, the organization's current president; and safety advocate Clarence Ditlow said the government, as majority shareholder in GM, "has the ability to direct or influence" the company on investments. "As the U.S. reduces its share, so its capacity to influence such decisions diminishes," they said. "It invested precisely to preserve U.S. jobs and manufacturing capacity. It is now incumbent on the government to manage its investment to advance these objectives," the letter said. For instance, the group urged the administration to "direct GM to increase dramatically its investments in electric cars and other transformational technologies." Moreover, they decried a resumption of GM lobbying on auto safety, Wall Street reform and trade and currency issues while under government control.